A 4 person melamine dining set. 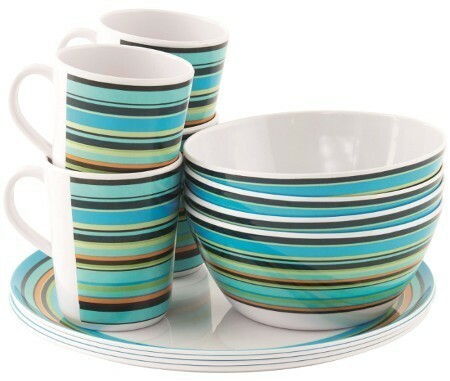 This break resistant tableware set includes 4 each of mugs, bowls and plates with colourful striped pattern. Made from 100% melamine it is dishwasher safe and break resistant so it's suitable for camping and caravanning.